The complex process of selling your residential property involves huge sums of money changing hands, the necessity to adhere to precise legal interpretations, and can be fraught with unforeseen situations which arise when you least expect them. 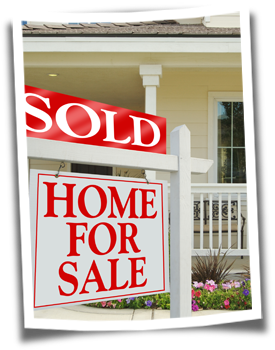 The successful completion of a realty transaction takes preparation, savvy, patience, and the reliance on established, reputable experts in the real estate and legal professions who can assist and support you in tackling the myriad details you will be confronting. Prior to taking the step to listing your property, an exhaustive evaluation must be made which entails changing your perspective as to how you see your residential property. To you, this is home, and thus you are intimately familiar with its characteristics, quirks, benefits and detractions. However, a total stranger entering your home for the first time (and perhaps even never before having visited your neighbourhood), will have an entirely different perspective. They may not notice quality, desirable features you take for granted, and may focus in on a tiny, cosmetic problem that you know is irrelevant and easily remedied. Your property must be tweaked to appeal to the current prevailing taste in the buying market as well. Although kitchens and bathrooms are always the primary points of interest to prospective home purchasers, differing price levels bring shifting buyer preferences. It is logical to assume that the things a buyer is looking for in a one bedroom duplex are quite different than thefeatures expected in a six bedroom golf course bungalow. Although you may have lived in your property for years or decades, and thus know the community very well, it is a good idea to walk or drive around the neighbourhood specifically from the viewpoint of a prospective buyer looking for homes. You will see your neighbourhood through completely different eyes if you look at the area fully objectively. The major selling points of your area will come into sharp focus, both positive and negative. That will allow you to gain insight into the decision making process of your potential buyers. If you spot a specific area of concern in your neighbourhood, perhaps some graffiti splattered on a wall, or an unkempt or outright abandoned property, you should step up an let your observations be heard in the community at large. Motivating your neighbours to "clean up their act" is going to pay significant dividends on the level of offers you will be entertaining. After all, your prospective buyers will definitely notice the cars up on blocks or the trash piled up against fences and they will adjust their offers accordingly.